Both of these have been on my shelves for longer than I care to admit. I think I need to read Maine very, very soon! I have a lot of those books! I'm trying to do a better job of actually reading the ones I own. I too have Maine on my shelves. I did buy it at the used book store because I thought it would be a fun beach read. Is it a bit of a downer? Is sounds like it might be. I don't know that I would call it a downer per say, but it's definitely a heavier book than the cover suggests! Both books about women in various stages of dependence/independence. Good pairing, though at first blush, completely different genres. Glad you enjoyed them. I will file away the titles to perhaps look for at a later date. Thanks for your thoughts. Great mini reviews! 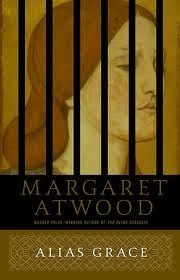 Alias Grace has been on my shelf for years and have always been pushing it to the side. Perhaps I'll have to read it sooner rather than later. 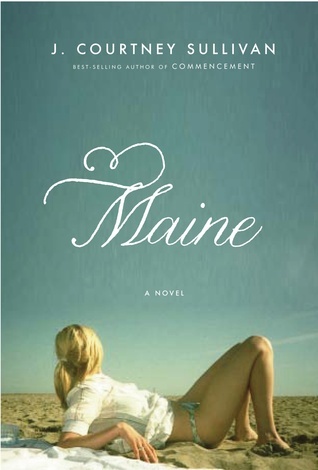 I always assumed Maine was a summer read based on the cover, and avoid those like the plague. Although, after reading that it is quite the opposite, I think I will have to give it a try. I have to confess I picked up Alias Grace a few times before I finally took the plunge. It was worth it, though!